Wineware's Top 5 Early Christmas Gifts Ideas! There’s exactly 50 days to go until Christmas 2014, the celebrations are quickly approaching and it’s time to start thinking of not only the big gifts you’ll be giving your loved ones, but the small stocking fillers too! The start of November is when people start to purchase their Christmas gifts, so here at Wineware we’ve drawn up a list of some early wine related Christmas presents that will go down well with the wine enthusiast in your life. 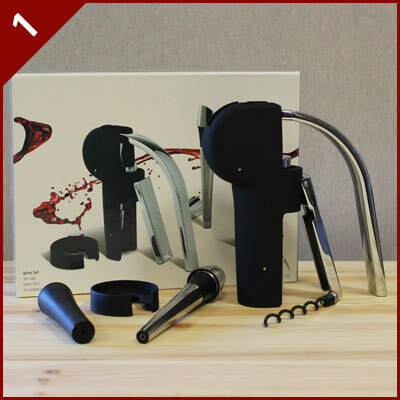 The Nuance gift wine set includes a lever model corkscrew, an easy to use foil cutter, a helpful wine finer and a vacuum bottle stopper. This handy set has all you need to serve, preserve and enjoy your wine…and it’s all included in a tidy gift box, the perfect present for the wine lover in your life! If you’re after a tidy little wine rack that’s easy to assemble and holds a small number of your favourite bottles…then look no further than the Vinrack! You can choose either natural pine or a dark stain finish and bottle hole capacities of 12, 18 and 48 bottles. 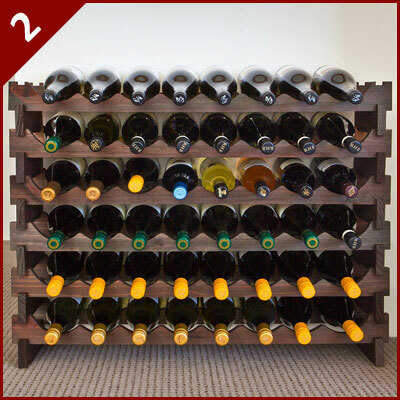 No tools required to put these small, smart wooden wine racks together. Do you want to enjoy your red wine even more…then use a wine decanter! Instead of pouring straight from the bottle and into your glass, decanter your wine for an hour or two, this will oxygenate your wine and make it taste even nicer! 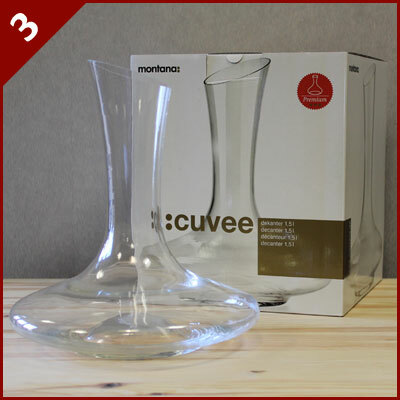 This elegant and gift boxed ‘Cuvee’ decanter from Montana is the perfect ‘starter’ wine decanter! 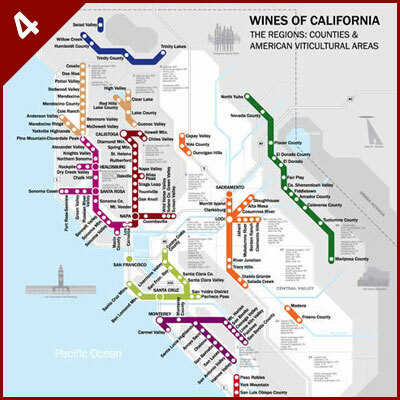 The De Long Wine Maps are incredible easy to navigate and have a high level of detail, covering the most popular wine regions in the World. These maps would like fantastic on the wall in a nice frame, the perfect gift a keen wine enthusiast! The Ivento glassware range from Schott Zwiesel is an elegant collection, featuring the most popular glass types. 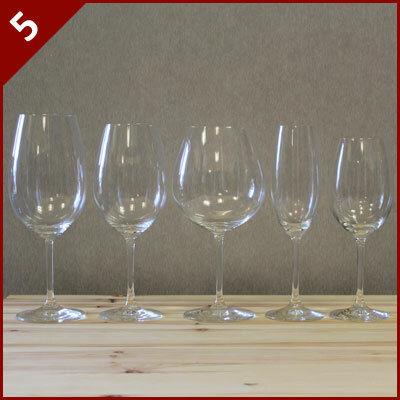 This popular range is great value for money, these are better than your standard ‘beginner’ glasses and would look great on a dinner table or simply using everyday sitting on the sofa! Alternatively, why not let your friends and family decide which wine accessories they’d like, with a Wineware Gift Voucher. You have until 12 Noon on Monday 22nd December for guaranteed pre-Christmas dispatch!